In a Nutshell: For veterans and active military service members, VA home loans represent an ideal route to homeownership. These loans offer hefty savings with little or no down payment, lower monthly payments than conventional loans, and additional tax advantages. 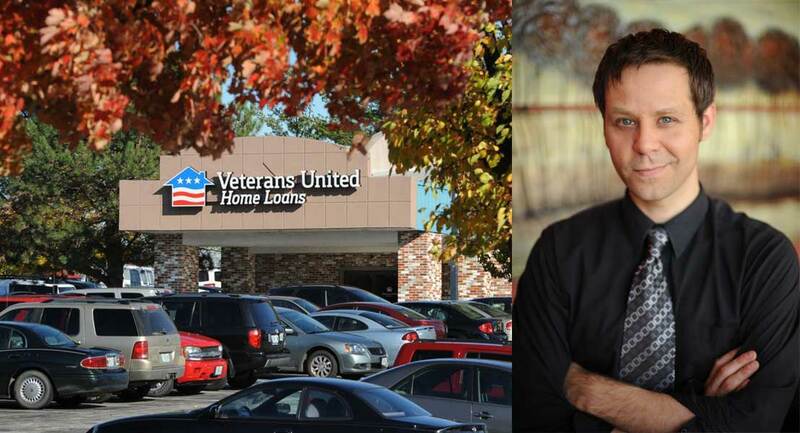 Veterans United Home Loans’ team of military advisors and loan officers — many of whom are veterans or come from military families — specialize in helping former and active service members navigate the loan application and home-buying processes. Although challenging, buying and owning a home can offer many rewards: building equity, improving credit, and — perhaps most importantly — owning a piece of the nation veterans and service members sacrificed to defend. Michael Sanderfer served in the U.S. Army as a combat medic before retiring and starting a family with his wife, Kari. 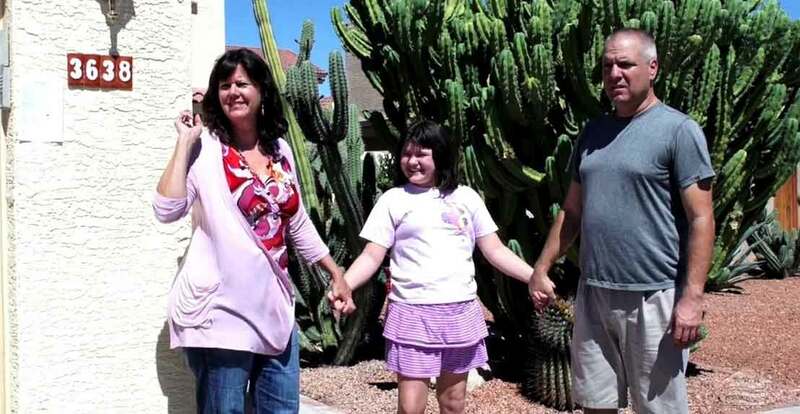 Then, the couple’s daughter, Keira, was diagnosed with Angelman Syndrome after it became clear that she was not hitting developmental milestones. The neurogenetic disorder will require Keira receive lifelong care. Although Keira is nonverbal, with her family’s support she has turned into an easy-going kid who loves to laugh, according to Kari. The time and expenses the Sanderfers have dedicated to caring for Keira led to the family falling behind on medical bills. When they explored their homebuying options, they discovered that their credit was not good enough for them to secure a mortgage. That’s when Veterans United stepped in. The Sanderfer family was able to secure a mortgage through Veterans United. The organization entered Sanderfer into its Lighthouse Program to help him bring up his credit score. After just three months, the family was able to realize their homeownership dream and qualify for a mortgage. VA loans were implemented in 1944, during World War II, to help returning service members get a home without a down payment or excellent credit. Since then, the VA has guaranteed more than 22 million loans featuring lower upfront and monthly costs than conventional loans. Many of the loan officers at Veterans United are former service members themselves or have a military family background. And, because they have direct experience and knowledge of the needs and situations service members experience, they can better help veterans and families get the loans and homes they deserve. For the Sanderfers, that meant getting the additional guidance from Veterans United’s Lighthouse Program when other lenders had simply turned the family away. VA loans are available to veterans, active service members, and select military spouses. To qualify, service members must have completed 90 consecutive days of service during wartime, 181 days of active service during peacetime, or six years of service in the National Guard or reserves. VA loans are also available to spouses of service members who have died in the line of duty or due to service-related disability. In all cases, the qualifying service member must have been honorably discharged from the military. All applicants must provide a Certificate of Eligibility, which they can obtain through an approved VA lender, online via the VA’s eBenefits portal, or by mail with VA Form 26-1880. Unlike many home loans, the VA loan does not require a minimum income threshold. Borrowers need only demonstrate a stable, reliable income that can cover their monthly expenses plus mortgage payments. They must also have enough residual income — funds left over after necessary expenses — to ensure they can maintain their quality of life and to provide a financial buffer in case of emergencies. For active-duty personnel, the Basic Housing Allowance — a stipend for service members living off base — can be counted as income and used to pay monthly mortgage costs. VA loans, similar to conventional loans, are financed by private lenders, who may have additional qualification requirements. But, unlike other loans, it is guaranteed by the VA, which means qualified homebuyers can finance 100% of a home’s value without a down payment. Conventional loans, in contrast, can require a down payment of up to 20% of the purchase price. Thanks to the security of government backing, lenders assume less risk on VA loans, leading to less stringent requirements for borrowers and lower interest rates, typically 0.5% to 1.0% lower than those of conventional mortgages. Additionally, VA loans do not require private mortgage insurance. For conventional loans, this insurance is required for borrowers financing more than 80% of the home’s value. Without the additional expense of mortgage insurance, homeowners can build equity quicker and save money on their monthly payments. Between its low initial cost, lower interest rates, and lower monthly down payments, VA loans mean big savings for qualified borrowers. Even with all the perks offered by VA loans, buying a home remains a significant financial decision that requires a long-term commitment. However, homeownership provides a tremendous payoff in the form of emotional and financial stability. Prospective homebuyers should remember that their purchase brings additional expenses with it. These include taxes and home insurance premiums, which can fluctuate annually, and they will also pay for services like utilities and trash collection. Unlike renters, homeowners are also responsible for property upkeep and maintenance. They should plan to budget 1% of their home’s value each year to prevent problems or fix them when they occur. In exchange for their increased responsibility, homeowners gain comparable benefits. They’ll enjoy the fixed mortgage payments, not fluctuating rental costs, that build equity, or ownership stake, in their home. That equity provides them a monetary return when they sell the house or allows them to borrow against it, if needed. Homeowners are also free to modify the home and property, which renters generally cannot. And, by making timely mortgage payments, homeowners can boost their credit score and improve their ability to qualify for other loans and financial products, like credit cards, with lower rates, higher limits, and better rewards. Homeowners who finance with a VA loan also enjoy tax advantages. Mortgage interest, property taxes, and their VA funding fee may all be deductible on their income taxes. Some disabled veterans may also qualify for property tax exemption depending on location, property value, and disability rating. And any profit made from selling the home may also be tax-exempt. Veterans United’s military advisors are all distinguished, retired senior enlisted leaders hailing from every branch of the armed forces. The six advisors have over 180 years of combined military service. They and Veterans United’s loan officers are all equipped to understand the ins and outs of VA loans and better serve the unique needs of the service members they work with. Veterans United also offers an array of educational resources to help borrowers prepare for the process of applying for a loan and purchasing their home. Foremost among these resources is a detailed, multipart overview of the entire borrowing and homebuying process. This comprehensive guide helps prospective buyers know what to expect and how to prepare. The website also features a set of financial calculators, including mortgage, affordability, and loan limit. Together, these help borrowers evaluate the cost of buying a home and determine what they can afford. Finally, the Veterans United blog contains information related to borrowing, the homebuying process, and homeownership relevant to veterans, active service members, and their families. For many people, buying a home will be the largest purchase of their lives. For veterans like Sanderfer, homeownership is an opportunity to own a piece of the country they’ve worked to defend. And for every homebuyer, it’s an investment in a better future. When veterans and service members — and their families — decide they’re ready to make the leap from renting to homeownership, Veterans United recommends preparing early. Future applicants should strive to pay all of their bills on time, and they should keep documentation of bill and rent payments. They should also work to reduce their current debt as much as possible, getting their credit card balances under 30% of their maximum limits. And, of course, prospective homebuyers need to carefully review their credit reports, dispute any mistakes they find, and ensure that any errors are corrected. By taking these steps, VA loan applicants can improve their credit profiles, make themselves more desirable clients for lenders, and qualify for better interest rates on loans and other financial products. This will allow them to save even more money — and on a 15- or 30-year mortgage, those savings can be substantial. 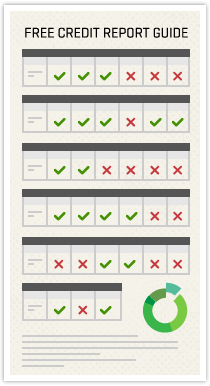 Sanderfer was able to boost his credit score by 75 points, qualifying him for a home loan. Today, in addition to being a proud homeowner, Sanderfer volunteers at the local zoo and spends quality time with his wife and daughter.